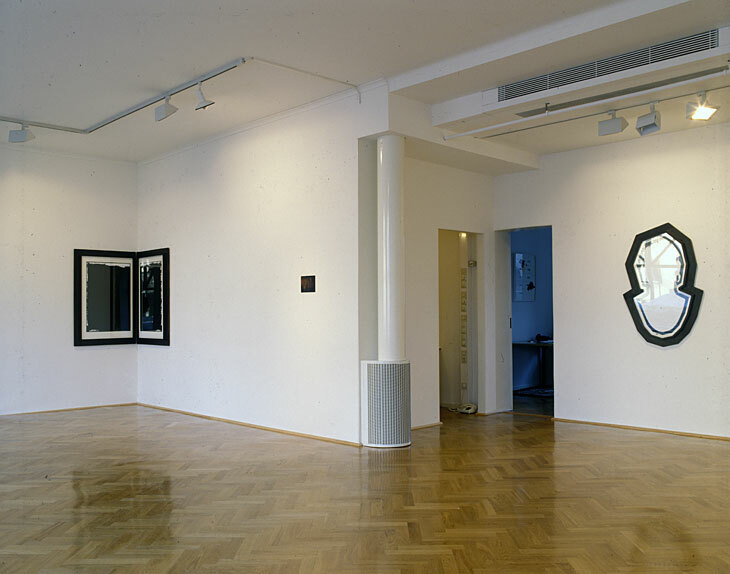 One of four installation views. From left to right: "Sken", "Scen", "Cut". In the office behind: "Diagram".